Last year, just after the Superbowl, I had asked some of my co-workers and friends to make a wager on the following year’s event. That bet had entailed going against San Fran returning to the Superbowl and winning it all. Amazingly, no one had took me up on the bet a year out. Then I had offered straight up win or lose against the field (i.e. rest of the NFL). Only one person was interested in such a bet, only then, a lunch. 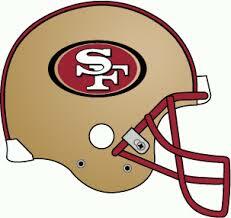 Summary, I had believed with everyone else, the 49ers themselves, bordering on achieving NFL dominance. Fast forward a year, the San Francisco 49ers had a rough regular season with questions regarding their QB’s regressive play and a hefty amount of roster injuries. After being left for dead almost two weeks before the end of the season, San Fran had earned their way into the playoffs with a wildcard against Green Bay. At the start of that game, I had thought the game should go the Packers’ way with the weather @ Lambeau Field but, San Fran so many potential threats on both sides of the ball yet, so many questions still. With the 49ers springing an early lead, I had thought their ball movement reminiscent of the previous year, pretty much on demand; However, they had sputtered a couple of times converting drives into touchdowns. Ultimately, with some consistent defensive heat on Aaron Rodgers plus Kaepernick’s improvisation, the 49ers had prevailed on the road. While they had looked like a good team, just not a great team. So this game had brought into focus the rest of their possible playoff matches going through Carolina and Seattle then, the Superbowl. For the Niners, at least one of those games, probably NFC title game, had required a great performance. That’s the question, were these 49ers, good or great? For them to complete a run to the Superbowl toward dominance had required snuffing out their arch NFC rival,Seattle, plus the Patriots in the title game. I had still believed in them winning out with a stout defense and gifted offense (i.e. Crabtree, Boldin, Gore, and Kaepernick). The funny thing, commentators on ESPN and other networks had only recently rediscovered this team’s potential post the Green Bay win. Since last year, I had stuck with this team now being called a “dark horse.” Amazingly, I had not wavered in their potential for supremacy. Now it was just a question of their execution. If they had happened to beat down Tom Brady’s Patriots in the process, even sweeter! This entry was posted in Sports and tagged dark horse, NFL Playoffs, San Fransico 49ers, sports. Bookmark the permalink.